The Pulitzer Prize–winning author of Peter the Great, Nicholas and Alexandra, and The Romanovs returns with another masterpiece of narrative biography, the extraordinary story of an obscure German princess who became one of the most remarkable, powerful, and captivating women in history. Born into a minor noble family, Catherine transformed herself into empress of Russia by sheer determination. For thirty-four years, the government, foreign policy, cultural development, and welfare of the Russian people were in her hands. She dealt with domestic rebellion, foreign wars, and the tidal wave of political change and violence churned up by the French Revolution. Catherine's family, friends, ministers, generals, lovers, and enemies—all are here, vividly brought to life. 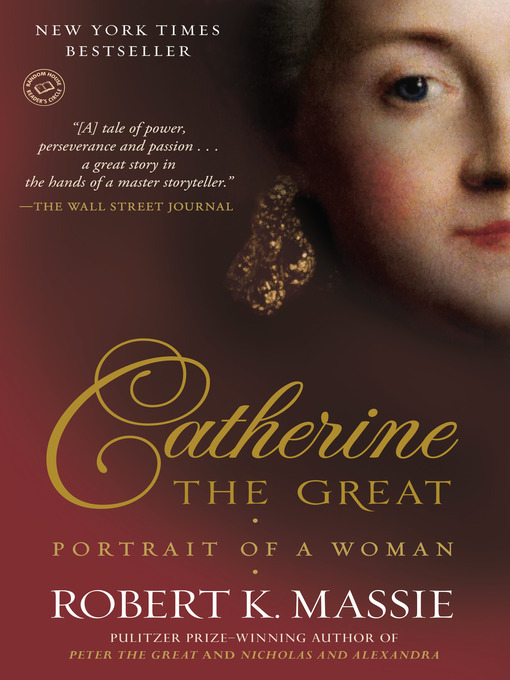 History offers few stories richer than that of Catherine the Great. In this book, an eternally fascinating woman is returned to life. BONUS: This edition contains a Catherine the Great reader's guide.